Please read this TOU carefully before accessing and using the Website. You are deemed to have read, understood and agreed to observe, comply and be bound with this TOU by accessing and/or using the Website. If you disagree with any part of this TOU, please cease to access and/or use the Website immediately. We further reserve the right to deny access to any person with or without reason. 2.1 We may modify this TOU at any time, with or without notice to you, by posting the modified terms on the Website. Your continued use and access to the Website after such modification shall be deemed to be your acceptance of any such modification. It is your responsibilities to regularly check for any modifications. 3.1 In consideration of the use of the Website, you agree to provide us with accurate, current and complete information upon registration as user of the Website. Failure to do so shall constitute a breach of this TOU, which may result in immediate and automatic termination of your access to the Website. We reserve the right to refuse registration of, or to cancel, any user registration in our sole and absolute discretion. (e) not create and/or publish your own database, price list, products and/or other commercial information on the Website without our express written consent. 6.1 We endeavour to the best of our abilities to ensure the availability of the Website. However, due to the nature of the Internet we are unable to guarantee complete and total availability of the Website at all times. Further, your access to the Website and/or to your user account may also be occasionally suspended or restricted to allow for repairs, maintenance, or the introduction of new products or services. 7.1 We grant you a limited license to access and make use of the Website, but not to download (other than page caching) or modify it, or any portion of it, except with our express written consent. This license does not include any resale or commercial use of the Website or its contents; any collection and use of any item listings, photos, multimedia formats, descriptions, or prices; any derivative use of the Website or its contents; any downloading or copying of account information for the benefit of another merchant; or any use of data mining, robots, or similar data gathering and extraction tools. 7.2 The Website or any part thereof shall not be reproduced, duplicated, copied, sold, resold or otherwise exploited in whatsoever manner and for whatsoever purposes without our express written consent. 7.3 You may not frame or use framing techniques to enclose any trademark, logo, or other proprietary information (including images, text, page layout, or form) of Wilka or the Website or the merchant and/or their respective products and affiliates without express written consent. We reserve all rights to take all necessary action and claim against any unauthorised. 8.1 All users of this Website may post reviews, comments on the offers, products and/or services feature on the Website. Users are allowed to send communications; submit suggestions, ideas, questions, or other information, as long as the content is not illegal, obscene, abusive, threatening, defamatory, invasive of privacy, infringing of intellectual property rights, or otherwise injurious to third parties, or objectionable and does not consist of or contain software viruses, political campaigning, commercial solicitation, chain letters, mass mailings, or any form of "spam." 8.2 You shall not use false e-mail addresses, impersonate any person or entity, or otherwise mislead as to the origin of any content. 8.3 If you do post content or submit material, and unless we indicate otherwise, you grant us and our affiliates an unconditionally, non-exclusive, royalty-free, perpetual, irrevocable, and fully sub-licensable right to use, reproduce, modify, adapt, publish, translate, create derivative works from, distribute, and display such content throughout the world in any media. You grant us and our affiliates and sub-licensees the right to use the name that you submit in connection with such content, if they choose. You agree to waive your right to be identified as the author of such content and your right to object to derogatory treatment of such content. You agree to perform all further acts necessary to perfect any of the above rights granted by you to us, including the execution of deeds and documents, at our request. (b) use of the content and material you supply does not breach any applicable third party rights, policies or guidelines and will not cause injury to any person or entity (including that the content or material is not defamatory). 8.5 You agree to indemnify us and our affiliates for all claims brought by a third party against us or our affiliates arising out of or in connection with your breach of any terms in this TOU. 8.6 We reserve all right (but not the obligation) to remove or reinstate any content posted by any user if we believe that it violates our policy, guidelines and/or against the laws, such as content is inaccurate, obscene, vulgar, offensive, defamatory, fraudulent, false, pornographic-related or deemed as spam. We have no obligation to retain or provide you with copies of content, nor do we guarantee any confidentiality with respect to your content. 9.1 All content included on the Website, such as text, graphics, logos, button icons, images, audio clips, digital downloads, data compilations, and software, is the property of Wilka and is protected by the relevant copyright laws. 9.2 The compilation of all content on the Website is the exclusive property of Wilka and our affiliates and is protected by the relevant jurisdiction and international copyright and database right laws. All software used on this website is the property of our company, our affiliates or our software suppliers and is protected by the relevant copyright laws. 9.3 You may not systematically extract and/or re-utilize parts of the contents of the Website without our express written consent. In particular, you may not utilize any data mining, robots, or similar data gathering and extraction tools to extract (whether once or many times) for re-utilization of any substantial parts of the Website, without our express written consent. 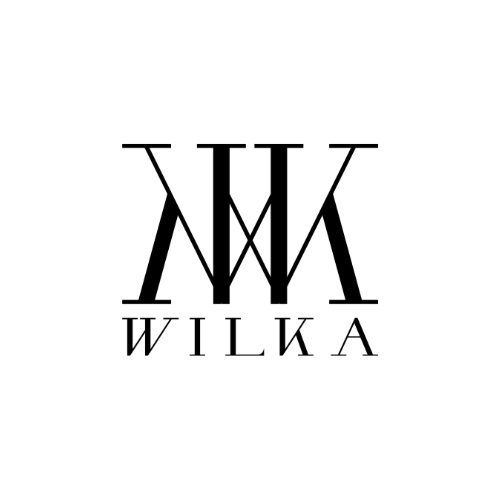 10.1 All marks, tagline, logo or devices indicated on the Website are trademarks of Wilka. All such marks shall not be used in connection with any product or service, in any manner not authorized by us. 11.1 For practical reasons, we do not monitor the Website at all times. While every care is made to ensure the accuracy of our content, we take no responsibility for any material input by an outside source (e.g. users who subscribe to the Website), posted automatically or manually, on this Website. You are encouraged to verify the information with other reputable sources before committing to any action or investment that may affect your financial standing. We are not responsible for the content of any other websites linked to the Website. (d) is free of defamatory or adult-oriented material, or material that some individual deem offensive or objectionable. 12.2 We are not responsible for the conduct, whether online or offline, of any user of the Website. We shall, in no circumstance, be responsible for any loss or damage, including personal injury or death, resulting from the use of the Website. 13.1 To the fullest extent allowed by law, Wilka including its officers, directors, shareholders, employees and agents shall not be liable to you for any damages of any kind, including but not limited to direct, indirect, compensatory, special, incidental or consequential damages arising out of or in connection with your use of the Website. You understand and agree that Wilka will not be responsible for any loss of your user generated content or any interruptions of services, including but not limited to internet service provider disruptions, software or hardware failures, or any other events which may result in a loss of data or a disruption of service. 14.1 We may, under certain circumstance and without prior notice, immediately terminate your account and access to the Website in the event you are in breach of TOU or other incorporated agreements, rules or guidelines, requests by law enforcement or other government agencies, a request by you (self-initiated deletions), discontinuance or material modification of the Website (of any part thereof), unexpected technical issues or problems, extended periods of inactivity and acts of malicious or abusive intent towards other members. (c) barring you from further use of the Website or parts thereof. 14.3 Further, you agree that all terminations for cause shall be made at our sole discretion, without any obligation on our part to provide any explanation; and that we shall not be liable to you or any third-party for any termination of your account or access to the Website. 15.1 The Website may provide links or URL to other websites owned by third parties. Unless otherwise expressly stated, the Website do not endorse or control the third-party websites and assumes no responsibilities for them. 15.2 By accessing the Website from links from other third party website, electronic mail or document, you agree to be bounded by this TOU.